Listed below are all the articles and videos that are posted on the website. I categorized them under the subtitles that they pertain to. All of the articles were written with the intent of clarifying a particular subject. For instance Part 3 of the Hard Sayings of Paul entitled "The Law in both the Old and New Covenants" discusses things pertaining to both the Law and the Old and New Covenants, so that article would be listed under both subtitles "The Heavenly Fathers Law" as well as under "The Covenants both Old and New". I'm of the opinion that the Messiah will be returning soon. I realize that I'm putting myself out on a limb here by saying that I'm convinced that Messiah will be returning within months, not years. If he doesn't return before next Yom Teruah, the Feast of Trumpets, then I believe that he'll return on Yom Teruah. How many are there today that are actually seeking Yahuweh “with all their hearts”? If you're not then I can assure you that you'll never find Him. Is the Almighty made up of three different and distinct beings, known as a Trinity. Or is the Heavenly Father alone the Only True Elohim (G-d)? Find out the answer in the articles below, before it's to late. John 8:58 Is the Messiah claiming to be the great "I Am"? 1 John 5:7 "There are three that bear record in Heaven...."
Should We Worship the Messiah? Definitely, but why? What "must" we believe about the Messiah Yahoshua? Did the apostle Paul do away with the Heavenly Father's Law? - Absolutely not! Most of Christianity today due to their lack of understanding of the Scriptures are misunderstanding the things Paul said concerning the Law and will therefore, as Peter tells us, they will be DESTROYED for that misunderstand. In Matthew 7:21-23 the Messiah tells us that on Judgment Day many people that "thought" they were saved will find out when it's to late that not only were they never saved but that the Messiah NEVER KNEW THEM. Why didn't He know them? Because of their LAWLESSNESS. As with most Christians today these people were deceived into thinking that the Law/Torah did not have to be obey, or possibly they realized that it had to be obeyed and they weren't obeying it. Regardless of the reason these people were not obeying the Law and therefore all the "prophesying, casting out of demons, and wonderful works" they did they missed out on Salvation (Matt 7:22). Don't be included in that number on Judgment Day that find out when it's to late that because of their misunderstanding of some of Paul's writings they will be "destroyed". Below is a list of some of those things Paul said that many people are misunderstanding and consequently will be destroyed for. 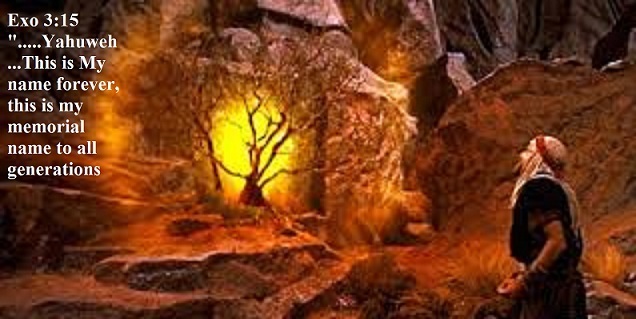 Matt 5:17-19 What did the Savior mean by "I came to fulfill the Law"
Col 2:14 Wasn't the Law nailed to the Tree? Rom 6:14-15 "We're not under the Law" ? Are there 'only' 10 Commandments? No. The Greek word 'baptizo' simply means to be 'immerse'. As important as the act of being baptized/immersed is, so is the reason we are baptize/immersed. If you were baptized in order to 'to join a particular church', or 'because you erroneously thought that you were following the Messiah's example in being baptized' than your baptism was not for the right reason and consequently your sins were never forgiven. Our Baptism has to be for a specific reason and that reason is for the forgiveness of our sins (Act 2:38). 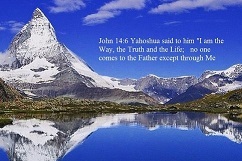 Yahoshua tells us that those "who believe and are baptized will be saved" (Mark 16:16). The apostle Paul after meeting the Messiah on the road to Damascus fasted without food and water for 3 days (Act 9:9). After which time the Messiah himself appeared to Ananias and told him that Paul was praying (Act 9:11) and I think it's safe to assume that Paul prayed for the 3 days that he fasted. And yet when Paul came to Ananias, Ananias told Paul to "get up and be baptized and wash away your sins" - Act 22:16. Paul said what I believe was possibly the longest "sinner's prayer" that's ever been said, and yet his sins were not forgiven until be was baptized "for the forgiveness of his sins". Was your baptism for the right reason? If not you can be assured your sins were never washed away. 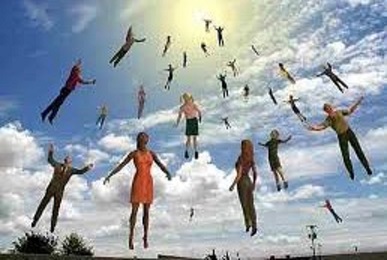 The Rapture - Who will be taken and who will be left- The Answer may surprise you! As amazing as it may sound most Christians today have no idea what the New Covenant actually is. 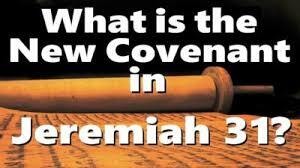 In this video, and the articles on the website, it will be shown that the New Covenant IS NOT the Letters from Matthew to Revelation. and the Old Covenant IS NOT the Books from Genesis to Malachi. Then what is the New Covenant? View the video and learn possibly for the first time just what the New Covenant actaully is. Part 3 - The New Covenant - What is it? "When you pray, pray in this way: 'Our Father who is in heaven, Hallowed be Your name." How many Christians in the world have recited that prayer and yet have no idea what Name it is that Messiah is telling us to hallow? The word “hallow” means to “venerate, sanctify (that is to make holy), to consecrate. Is it possiible to sanctify or venerate a name that you've never even heard of ? Of course not. Why is it that most of the world has never heard of the Heavenly Father's Name? Did you know that He, the heavenly Father, put His Name in His Book 6,823 times and the Christian translators removed it 6,823 times and substituted it with the words “the LORD” and occassionally with the word “GOD”? The Father's Name was never taken out of the Hebrew scriptures and yet in Judaism the reader is forbidden to say the Name when reading the text. He substitutes it with “Adoni” (my Lord). Why, why did the Christians translators take the Name out of the Bible, and why are the Jews forbidden to say it? Those questions and many more will be answer in the 2 part video entitled “The Heavenly Father's Name”. Part 1 - the story of my growing up in the projects in Cleveland and how the heavenly Father, Yahuweh, brought me to Jerusalem some 36 years later, waiting for the Messiah's return. Of which I'm convinced will be very soon. 613 commandments down to one - "The Righteous shall live by faith"
A Wise Man or a Fool - Which are you? 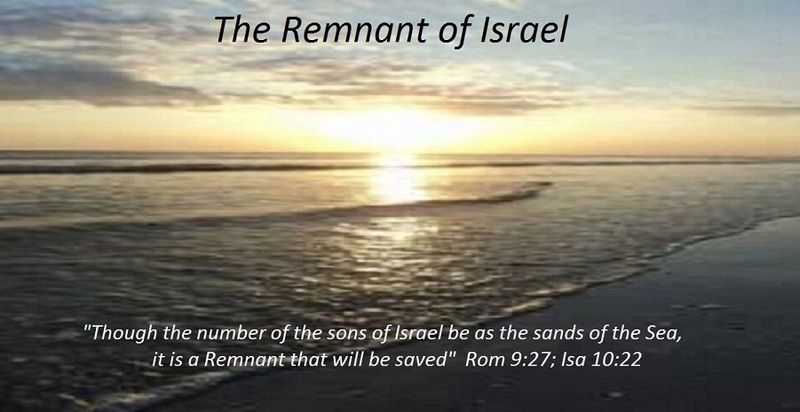 Did the Heavenly Father give His Law to Israel only to change His mind some 1,500 years later and do away with it? No, we’re told numerous times throughout the Scriptures that the Almighty's Law will endure "forever". The Savior himself could not have made it any clearer when he said that "until heaven and earth passes away not the smallest stroke will pass from the Law" (Matt 5:18-19). Has heaven and earth passed away yet? Of course not. Then why is it that so many Christians today believe that the Law was done away with when the Messiah died? The reason for all the confusion today among Christians concerning the heavenly Father's Law is due to the misunderstanding that so many have about things the apostle Paul said in some of his letters concerning the Law, things that the apostle Peter tells us “are hard to understand” (2 Pet 3:16). Things such as “no man can be justified by the Law” (Rom 3:20). Was the apostle Paul implying that the Law did not have to be obeyed any longer? Doesn't he clearly tell us in Romans 2:13 that it will only be “the doers of the Law that will be justified” (Rom 2:13). And doesn't he make it clear in Rom 3:31 that “we establish the Law through faith”? Are you beginning to see where all the confusion comes in for so many Christians today concerning the Law? The confusion is due to some of the things that Paul said concerning the Law, things that the apostle Peter tells us “are hard to understand” (2 Pet 3:15-16). Peter goes on to say that becuae of the misunderstanding that so many people have concerning some of the things Paul said that those people “will be destroyed” (2 Pet 3:16). Friend I'm sure that you believe it's everyone else that's confused about some of things Pual said concerning the Law, things such as the example I mentioned about about “being justified by the Law” (Rom 2:13). But let me assure you that in all likelihood you are definitely among those that are misunderstanding things Paul said concerning the Law. If you'll take the time to read 2 Peter 3:16 you'll find that those that are confused about Paul's writing will “be destroyed” because of that misunderstanding. 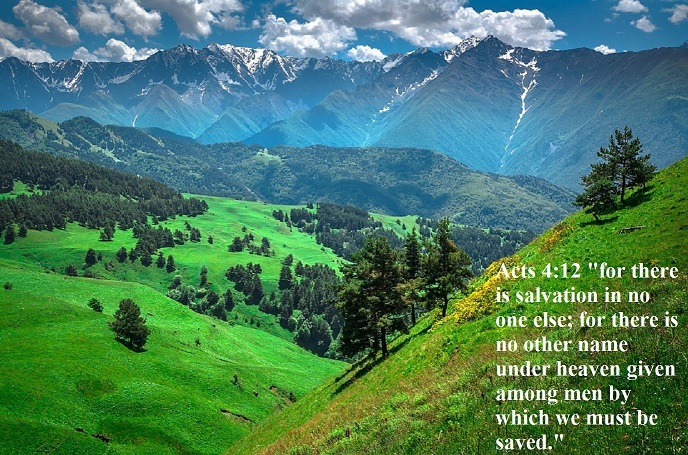 If your Salvation is important to you you'll take the time to click on the links below and read the articles entitled “The Hard Sayings of Paul” parts 1 thru 4, before it's to late. Many are going to say on that day “Lord, Lord and he's going to say to them “depart frm me I never knew you, you worker of Lawlessness”. (Matt 7:23). Lawlessness is a violation of the heavenly Father's Law. Don't be among that crowd that “thought” they were saved only to find out when it was to late that the Messiah “never” knew them. In Part 1 we’ll examine the reason for Peter saying what he did about Paul's writings being hard to understand. In order to better understand Paul's writings, we'll take a closer look at why it was necessary for the Messiah Yahoshua to have to die in order for our sins to be forgiven. If the Almighty tells us that He'll forgive us if we "repent," than why was it necessary for the Savior to suffer and die in order for our sins to be forgiven? Aren't we're under a "different" Law, the "law of the Messiah (Christ)"? Didn't the Messiah put an end to the Law, Romans 10:4; and more. The New Covenant, or Testament, is the Heavenly Father’s Law written on the hearts and minds of His People. Isaiah 51:7 Hearken unto me, you that know righteousness, the people in whose heart is my law;…. View the video "The New Covenant - What exactly is it? Part 4 - Did the Almighty change his mind concerning His Law? How many times have you heard ministers give an arousing sermon on Malachi 3:6 and how Yahuweh said, “I do not change,” and then turn right around and explain how Yahuweh changed his mind concerning His Law! All throughout Israel's history, the heavenly Father sent prophet after prophet telling them to repent, turn back to the Law, and stop sinning. But, according to the same ministers, they say that the apostles preached that Yahuweh supposedly did away with His Law. A law that Paul tells us is “righteous, holy and good” (Romans 7:12), and that "only those who obey it will be saved" (Rom 2:13).